A few weeks late to the party, XBox Live brings Mega Man 10 to our 360s today, feeding the hungry gamers that do not have Wiis or PS3s (or just really wanted the achievements). I hear the platforming isn't as stupid hard as MM9, thankfully, so I won't feel too handicapped with these high heels and this awkward purse. No, really, this purse is hella annoying when I run. Throws my weight off like whoa. Details are here on XBox UK's Faceyspace page. I personally recommend Mad Tracks and SF2HDR and may very well end up with Defense Grid and Rocket Riot on my 360 sometime this weekend. First day of the work week again and, if you're not still playing Cave Story, Nintendo did its weekly chore and delivered a fresh batch of 1's and 0's for you to download onto your Wii today. The WiiWare catalogue gets two somewhat high profile titles with WarioWare: D.I.Y Showcase for 800 Wii Points and fast-paced waitress simulator Diner Dash for 1,000. WarioWare has you, as always, playing a series of ridiculous five second minigames and wasting hours of your time doing so, all with a well-earned smile on your face. You can download new minigames (free of charge, at that) and, with the DS version of the game, make your own to play on the big screen. Sounds like fun and will be something I'm picking up. Diner Dash won't be something added to my catalogue, however, but it's definitely a noteworthy title. The Virtual Console gets long-awaited N64 title Ogre Battle: Person of Lordly Calibur (just call it "Ogre Battle 64") for 1,000 Wii Points. If you enjoy old-school RPGs with a hint of RTS and haven't played this yet, do so. Great stuff. On the XBox 360 side of things we'll see Mega Man 10 on Wednesday. That will get its day, though. Today, we're mentioning the Deal of the Week which is Virtual-On: Oratorio Tangram. I don't make the titles, I just list them. Regardless of the wtf of the title, the game is great and on sale for 800 points instead of the usual 1200 for Gold Members only. Go try the demo if you haven't. Like, right after you read this. Finally, my review choice for the week. Since it's that odd 5th week in a month I'll devote it to revisiting Nintendo's Virtual Console game Star Fox 64, a game I barely played after purchasing it but one I had fond memories of on the N64. See ya then! Once upon a time I, like many other gamers out there, became horribly addicted to Puzzle Quest and its part-Bejeweled part-RPG formula. Something about taking the boring menu-driven battles of most RPGs and replacing them with a turn-based match-three puzzler made the game, a game with the most cliche plot and paper-thin characters, probably one of the biggest overnight successes in the last decade of gaming. There have been a few attempts since to emulate that formula with varying degrees of deviation and success. 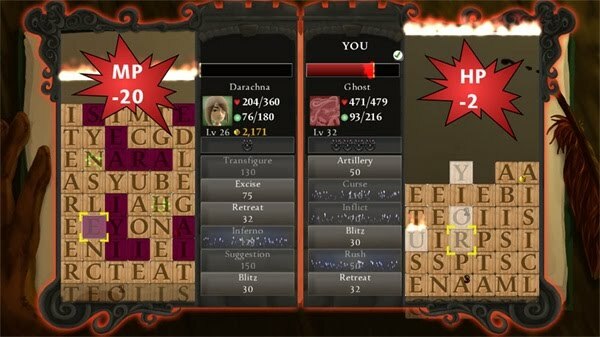 The latest attempt is War of Words, a game ditching turn-based puzzle gaming for real-time word finding, from XBLIG developer ScrumThorax. Today sees the release of lots of games within a game on XBox Live. 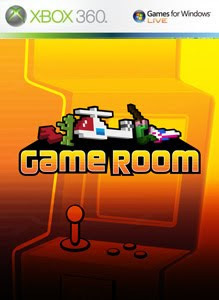 Game Room was released, marking the end of XBox Live Arcade's Block Party. The "game" itself is free but each arcade game within it is 3 to 5 bucks. An interesting idea and a good way to get a lot of those old arcade and Atari games out onto the system without wasting a week's XBLA time slot that could be spent on something a little more robust. I'll probably be wasting a little time (and a little money) on it later tonight. It's worth mentioning that this is a cross-platform title that can be played on both your 360 and PC, and I'm pretty sure your achievements go back and forth as well. Also this week, I posted an interview with Soulcaster developer MagicalTimeBean on the other place I sell my soul and free time to, ForceDisconnect.com. You can find the interview here. Thanks again Ian, always a pleasure. Nintendo made it easy this week with one WiiWare release and, sadly, no Virtual Console releases. 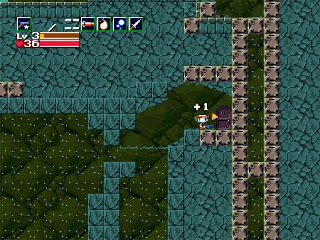 Pixel's Cave Story finally made its way to the Wii and for 1200 Wii Points you can play this PC indie classic on your Wii. I'm looking forward to finally getting around to playing this and, hopefully, posting a review. Fans of Metroidvania-style games should definitely give this a shot. Speaking of reviews, I'll be reviewing XBLIG Puzzle RPG War of Words this week. Anyone who can download this should try the demo. Very addicting blend of Puzzle Quest and Scrabble. And, finally, I've been doing a little writing for gaming site/blog ForceDisconnect. Anything by "Shin Hogosha" is mine and usually has to do with XBLIG stuff. Last week saw an interview with Gnomic Studios' Aranda Morrison about their title Square Off as well as a recap of a few of my favorite XBLIG games from that week. Definitely been fun writing for someone else, looking forward to posting more on there. See you guys in a few days! As I've said in previous reviews, I don't get along well with tower defense. I hate the pacing and the lack of control over what's happening. Previously reviewed Soulcaster fixed this by adding in elements from dungeon exploration games like Gauntlet and, holy crap, this turned the genre from something I avoid into one of my favorite games on XBLIG. 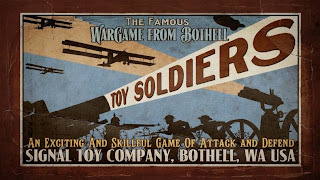 WWI-themed Toy Soldiers by Signal Studios tries to do something similar where it mixes the tower defense style we've all grown used to with the ability to control any of the units on the front from the machine gunners and howitzers to, on some levels, biplanes and snipers and tanks (oh my). Interesting in theory, but how does it perform on the battlefield? Pretty good week for nostalgia. Monday saw the release of Rondo of Blood on the Wii VC and today brings a remake of the N64 favorite Perfect Dark to the XBox 360. 800 MS Points brings you the memories of shooting little aliens and pulling countless all-nighters, all without needing one of those stupid Expansion Paks. Speaking of going back in time a little, this week's Deal of the Week on XBox Live sees a 400 MS Point reduction for three XBox Originals. GTA: San Andreas, Max Payne 2, and Fable are all available for 800 points a piece. Most people hate Mondays. For me, this week at least, it's the start of a week where I work 15 hours less than the previous week (46 from 61) and get to start writing for ForceDisconnect.com, and I can't complain about that. 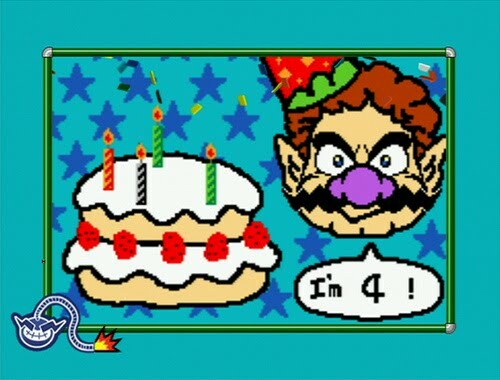 It's also the day Nintendo puts stuff on their Wii Shop Channel, and this week's got a couple goodies. On the WiiWare end of things we have Rage of the Gladiator for 1000 Wii Points. 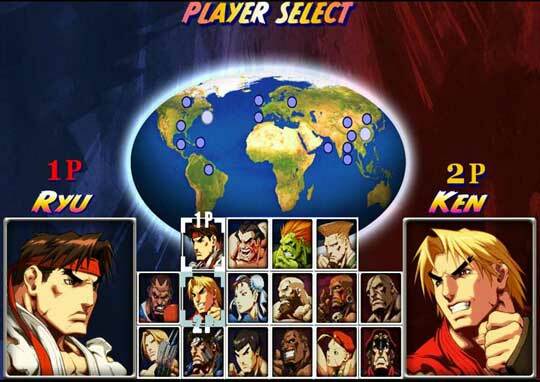 Best comparison would be a fantasy-based Punch Out, and it looks pretty good for a WiiWare title. Next up is Triple Shot Sports, a game for people who like to shoot targets instead of people. 500 Points gets you target practice with bows, pistols and rifles. 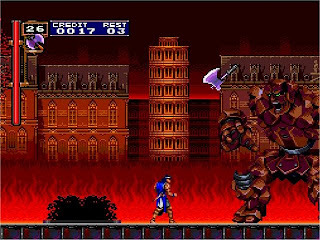 The VC release this week has me a little stoked, seeing as it's (Castlevania) Dracula X: Rondo of Blood. Not my favorite in the series by far as I've become used to the Metroid-style exploration in Symphony of the Night and later games but, as one of the last and best Castlevanias of the old-school style as well as the game that introuduces us to Richter and Maria, it has a well-earned place in history. 900 Wii Points buys you the T16-CD import. This week's XBox Live Arcade review choice, oddly enough, is the new tower defense game Toy Soldiers. 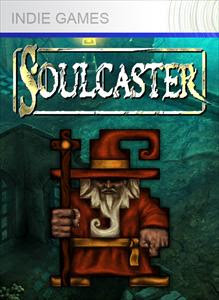 I ended up winning a free copy (thank you XBLAratings.com) and decided after enjoying Soulcaster so much I'd give the tower defense genre another chance. Plus, you play as toy soldiers, and there's a sniper tower. I don't know why I need to say anything else. There are two kinds of cute in this world: "kittens" and "flowers". I'm guilty of having "OMG SO FREAKIN' CUTE!" moments when I see adorable animals. Or when I'm playing through 90% of any Pokemon game. This may be a problem that requires medical attention, but let's move on for now. That, obviously, is kittens cute, and something even the most cold-hearted son of a gun can succumb to. The other is flowers cute and can best be described as the aisle in Target that has all the Polly Pocket crap. If you need a good example, go there and study it. Just don't linger for too long if you're my age or they might call the authorities, ya creeper. A safer example is loading up Nocturnal's Flowerworks on the Wii. My Monday's been manic and I want to go to sleep already. It's 6:00. If anything's gonna cheer me up (besides sleep, of course), it's a good game. Thankfully, just seeing this week's WiiWare and Virtual Console options is doing a pretty good job. 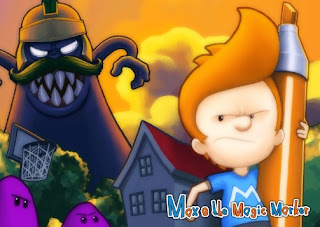 Max and the Magic Marker, available for 1000 Wii Points, looks like a good time and something I'd like to check out once I'm not backlogged with 50 hour weeks and a few reviews on top of that. Virtual Console side, SNES RPG classic Final Fantasy II (aka FF4 in Japan) makes its way into the nostalgic hearts of old school gamers for 800 points...if they haven't bought the game 4 times already. Rounding things out is Dracula: Undead Awakening, a game I didn't know existed until this second. 1000 points buys you a top-down shooter with a monster-movie theme...that isn't Zombies Ate My Neighbors. Speaking of WiiWare, this week's review choice is Flowerworks, mostly because I ended up getting a free copy of it this morning and I like playing free stuff. If the game ends up being so horrid that I can't bring myself to finish it, I'll defect over to Bit.Trip CORE for some retro-themed rhythm action. See you in a few days! I have a confession to make. I love shooters. Not the first-person or third-person variety but the ones with a spaceship and more bullet dodging than a 72-hour marathon of The Matrix trilogy. I love them so much that I feel like it's difficult to rate them properly. 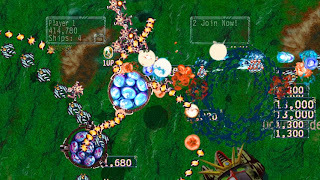 Luckily there have been some generic and/or horrible ones lately to rid me of this problem and, because of that, I feel like I'm able to sit down and look at a good old-fashioned shmup with little to no bias. That is, until Mommy's Best Games came along and put Shoot 1UP out. Now I'm a slobbering idiot that requires a very absorbent bib for the drool and something to wipe this stupid grin off my face. Let me get this out of the way: I'm not a huge tower defense fan. In its purest form, even the very best of the genre tick me off with its stop-go-stop-go pacing and lack of involvement while the game pretty much plays itself. And, even if I didn't mind that, I'd hate that the level plays out the same way each time. For me to play a tower defense game it has to have something extra, something that makes me feel like more than just a vehicle for the game to carry out some huge epic battle. MagicalTimeBean must've known this because their (his?) game, Soulcaster, did exactly that. I'm a sucker for a pretty or stylish game. It's really a wonder how I don't get burned more often by fancy looks or an original idea that doesn't carry the rest of the game when unsupported or poorly executed. Downloadable games on the 360 have helped this by giving us demos and, though a lot of times demos lead to a game being bought, these demos prevent me from buying some horrid or broken games that have that skin deep beauty. That said, when I saw Kaleidoscope I had to download the demo immediately with hopes that this game, like so many pretty games before, wouldn't lure me in with a night of promises but leave me with a morning of regrets and a tear-filled shower afterward. Starting from here on out I probably won't talk as much about some of the newer releases unless they're somewhat noteworthy (read: only 10% of the WiiWare titles). That said, I still look forward to every Monday to see what Nintendo throws us with WiiWare and Virtual Console games. 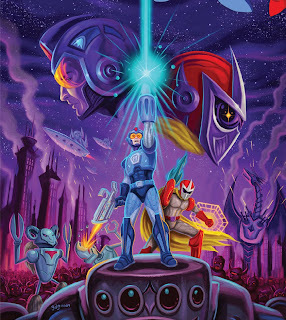 This week is the very epitome of noteworthy with the release of Mega Man 10 on WiiWare weeks before the 360 version and over a week before the PSN one. I'll probably wait for the 360 version if I pick it up 'cause I heart my achievements (and play my 360 much more than my Wii). 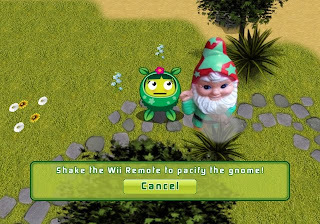 1000 Wii Points will buy you nostalgia and the right to swear at your Wii. 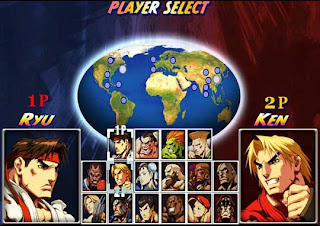 Dart Rage and Happy Hammerin' are the other two WiiWare titles this week and the Virtual Console gets a lone entry in the form of SNK's Fatal Fury Special off the Neo Geo. Definitely one of the better entries in the series. 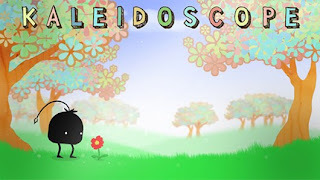 This week's review is of the XBox Live Indie Game Kaleidoscope. I urge everyone with a 360 to try the demo as it's one of the best looking Indie titles outside of the Arkedo series. See ya then!